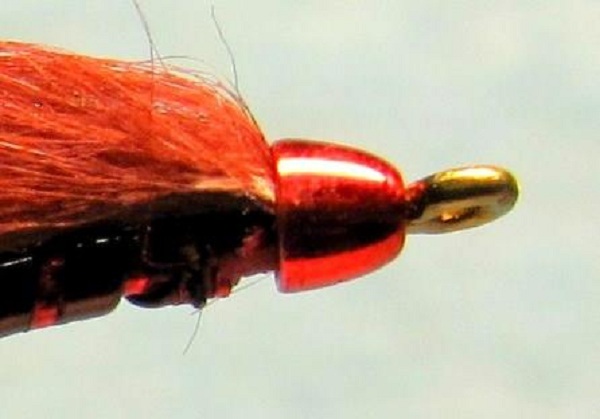 Here is a smaller(length) streamer ,at 3 1/4 " long on the 4/0 2461.The bulk relies on the Pike/Saltwater brushes. 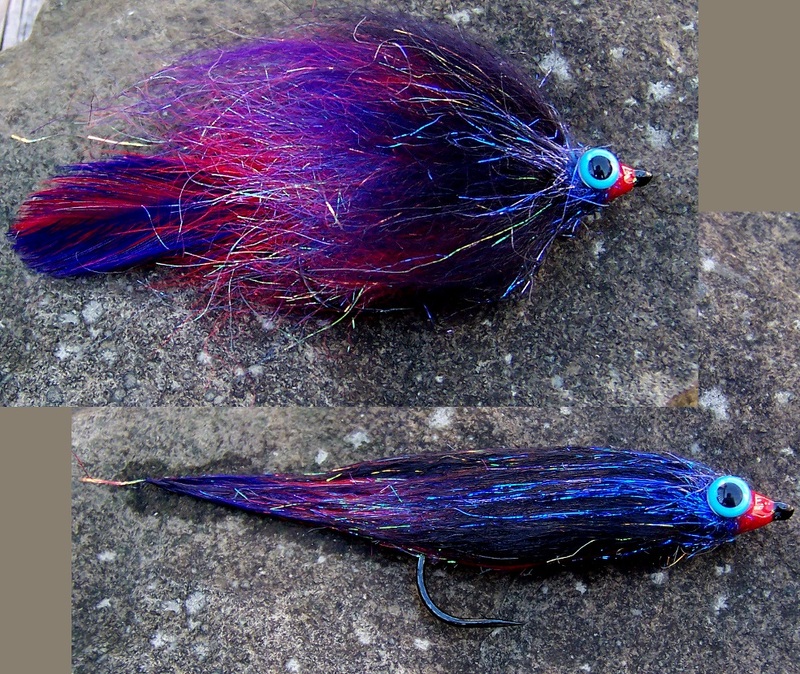 I wanted to try a built hackle tail using the blue/red/blue just to see how it worked out.There is a bucktail "skirt" to help out with anti-fouling but in truth I used fairly stiff stemmed hackles plus a few drops of flexible cement at the base ends as I constructed the tail before tie down to the shank.The skirting of bucktail on this was overkill.Again,wanted to check the look,particularly when wet.The hook has weighting wire applied to the 1st 3rd of the hook shank,behind the eye.A bit of a practice before a go at a longer streamer.I wanted to see how the colouring blended together....plus I can toss this without reservation at the local chain pickerel. The build was ... Thread base and weighting.Tie down the constructed (each side is dark blue/scarlet/dark blue) tail on top of the shank,the stems along the shank up to the weighting wire.Red dyed bucktail is tied on as a "skirt" at each side,fan-like. ....this is stiff hair from about half way up the tail and at the edges. For 2/3 the length of the shank(up to the wire) there is a dubbed (split thread) body of Magic Flash mix,50%Sunset50%Opal Sparkle).For the remaining 1/3 of the shank I started with a length of Llama Streamer Hair in Purple,tied tips forward and when pulled back over those tips just reach the tips of the red bucktail skirting.There is a ball of Magic Flash dubbed here,in Red Wing colour.Then a couple of turns each of Pike/Saltwater Llama Brush in Blue,then Red,and lastly Black.Finally another dubbed ball of Magic Flash in Blue and then finish the thread head and tie off. Brush and comb back the dubbing and the hair,and add the eyes with CA glue.Epoxy cement is then added to the thread wraps at the head and up to the space between the eye fronts.